We buy grapes from the country and make wine in the city. We call it bringing grapes to the people, you can thank us later. Sourcing the best grapes we can find is the first and most important step in our winemaking process. We focus our efforts on the fruit from Northern and Central California and Willamette Valley in Oregon, and thus far that has worked well for us (see our awards!). As soon as the grapes are harvested, they are loaded on temperature controlled trucks and are immediately transported to San Diego. We do all wine production (destemming, crushing, fermenting, aging, and bottling) in our urban facility by the beach! Our full functioning urban winery, tasting rooms, and wine garden are open for 7 days a week for you to visit! There are over a dozen urban wineries (and counting!) in San Diego, all buying grapes from the country and making wine in the city. Get to know your neighborhood winery and support your local winemakers! Find San Diego Urban Wineries near you. Steve Michaliszyn has been at Carruth Cellars since 2014. His first-hand on the job experience at Carruth, enduring long intensive hours during the harvest season with grit and mindfulness, gives him respect and admiration for this grueling yet extremely rewarding industry. Steve’s love and passion for wine comes from life-long engagement, experience and learning about the product itself through his travels and indulgences around the world. “I remember walking around the vineyards of eastern France and picking grapes off the vines as a young boy” he says as he recalls childhood trips abroad. These experiences cemented a lasting perspective of what wine brings and offers to the community it surrounds. Steve continues to further his education with online classes through UC Davis in their Viticultural department along with meeting and learning from prominent individuals within the industry. He’s a local | Adam is a native of San Diego County, a graduate of Carlsbad High School, and has lived in North County for most of his life. Before there was wine, there was beer | Before embarking on his journey as a winemaker, Adam began brewing beer during college in 1991 as a hobby at U.C. Riverside. After graduating he moved to Sonoma County and studied viticulture at Santa Rosa Community College. In 1998, living in the wine country, his interest in grape growing inspired a new hobby, making wine with friends and other wine enthusiasts. 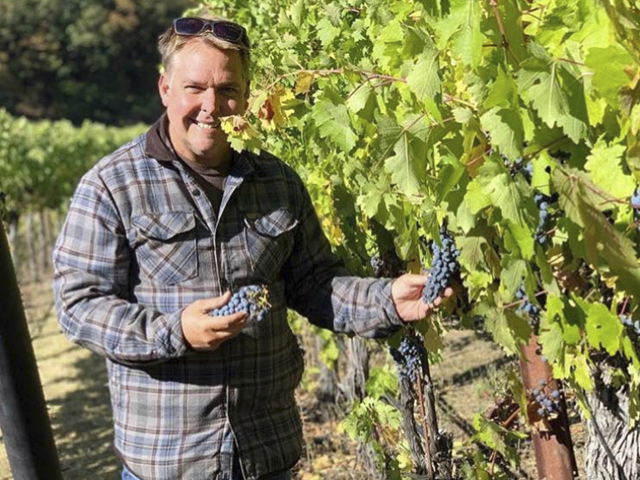 It all started in his backyard | With much encouragement from friends, Adam continued to make wine after moving back to Carlsbad in 2001 by trucking grapes down from Northern California’s premier wine regions. In 2006, Adam’s backyard wine making transitioned into a professional operation, and Carruth Cellars was born. He’s a passionate and dedicated entrepreneur | As of 2018, Adam has been working within the wine industry for 20 years. His enthusiasm and love of wine making is infectious! 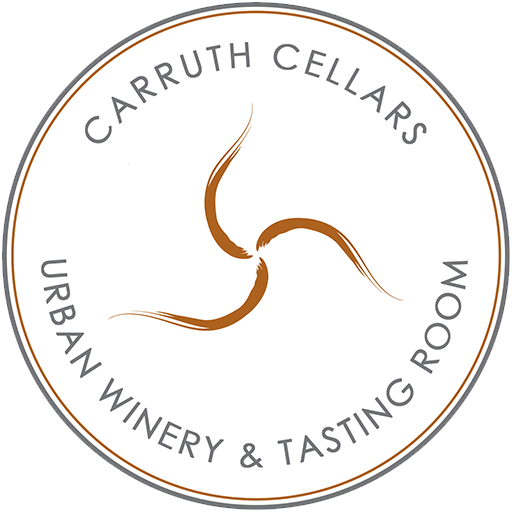 Carruth Cellars wine is the artistic expression of a wine maker that brings passion and dedication to his endeavor. 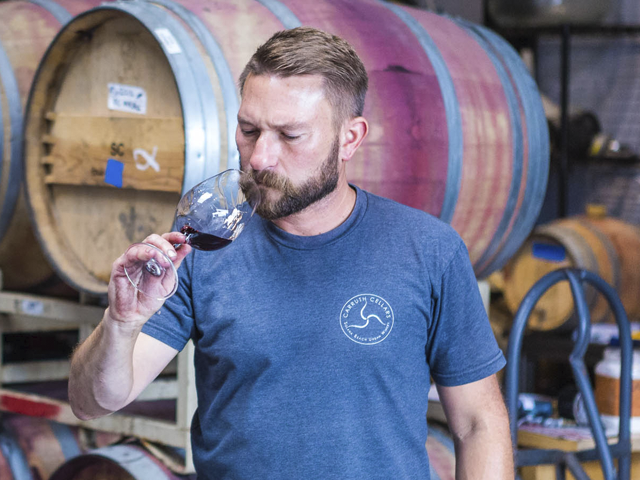 Opening his own winery and tasting room in the heart of Solana Beach is the latest and greatest step in Adam’s wine making journey. The Winery on Cedros endeavor has required passion, dedication, endless patience and incredible tenacity to become a reality. Adam would like to offer his profound gratitude to all those who have offered their support and efforts along the way, helping to make his dream a reality in the heart of Cedros Design District.